Trust is valuable. It affects everything. Being trusted by others is one of the things you must have to go far in life and to achieve your greatest success. Before starting my own company, I worked in the security and investigations industry for 20 years, and I learned that trust isn’t a quick thing you can gain. It is something earned over a period of time, after consistently being honest, always acting with integrity, never lying or misleading. It is how you act. It is who you are. If you want to be a person other people trust, take a look at your actions, the decisions you make on a daily basis. 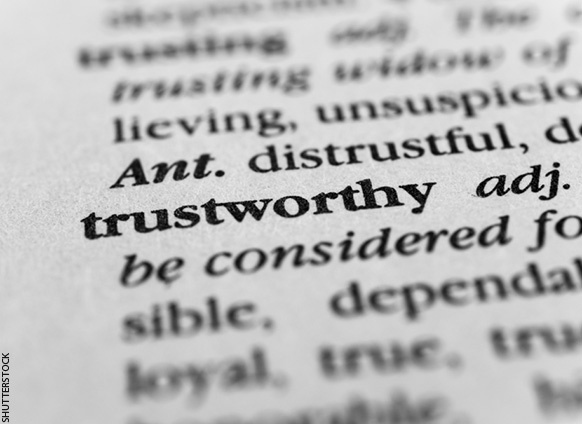 Here are 9 traits of trustworthy people. Do you have them? Can people trust you? People want to be around others that are real, meaning they are authentic and have high character. Authentic people are not trying to be above anyone else. They are likeable, humble and easy to talk to. Everyone has a bad day. But people want to see consistent, positive behavior in the people they trust. Affirmative actions and smart decisions make a difference in the eyes of others. People want other people around them that stand up for what is right in life, even when no one is watching. Trustworthy people put themselves in other people’s shoes. They are always thinking of others, feeling for others—it’s not all about them. People build up trust when they look out for others, when they are there for them when they need someone most, not just when everything is going OK. Trusted people are always learning and growing. They are constant students. They always know there is room to get better, and because of that, they know ways to help inspire and support others—and they give and share those resources. They look for ways to align like-minded people, and they connect people who have the knowledge or experience to help them get what they want. Trustworthy people want to get others out there first, before themselves. They realize that the efforts of the team really make things happen, versus what they can individually accomplish. They are there for people, available to others to support them always. They go out of their way to make time for others. Would you trust you? Read 14 quick but valuable tips to build (and lose) trust.